Located near the banks of the Corrèze River, our hotel is particularly easy to reach by road thanks to routes D1089, D920, D55, D44 and D151. We offer 55 comfortable rooms with air conditioning and free Wi-Fi. Our TVs, with DVD players, offer the beIN channel selection so that you'll be able to catch all your favorite sporting events. Our rooms all have a private bathroom and are serviced by elevator. Vending machines for snacks and drinks, as well as newspapers, are available at reception, open 24 hours a day. Parking is also available free of charge. The mecca of French Rugby, Brive-la-Gaillarde, or more simply, Brive, is filled with activities you will enjoy: besides the natural beautiful scenery of Corrèze, you can visit its monuments and museums, or have fun at Parc de la Guilerie or the Pans de Travassac. All rooms feature premium bedding, private bathroom with shower, flat-screen TV and free Wi-Fi. You now have free access to all beIN Sport channels, so you don't miss any sports event. 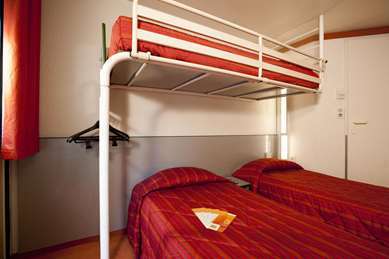 Or 55 rooms have been arranged to comfortably accommodate a double bed, two or three single beds, or even a double bed and a single bed. With family, friends or colleagues, you will always feel comfortable. Have the kind of breakfast you like thanks to the wide selection of foods offered at our all-you-can-eat breakfast buffet. Our air-conditioned dining room with a capacity of 50 seats welcomes you every day for lunch (from noon to 2:00 pm) or for dinner (from 7:00 pm to 9:00 pm). Our menu varies with the seasons. 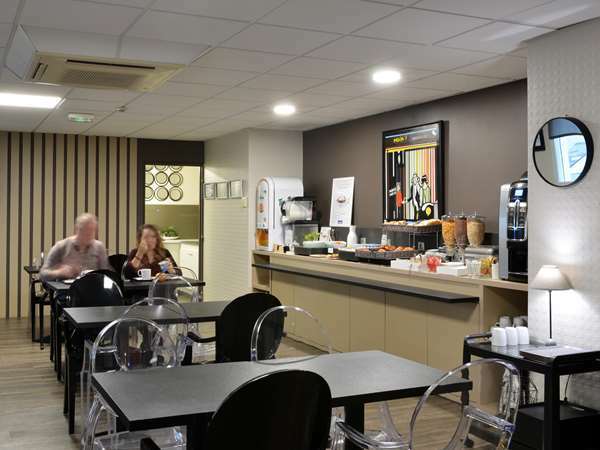 Good value 3* on the edge of Brive a few minutes from the A20. 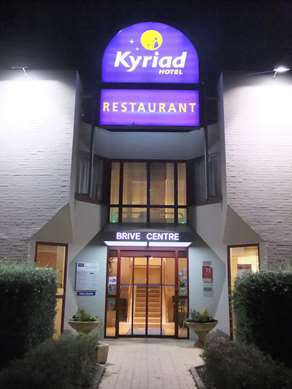 Appears to have been recently taken on by Kyriad with investment evident in lobby and rooms. Check in was smooth with office open at 7.30pm. If arriving later let them know as reception was closed by 9.00pm. Room is small but in good condition. Bed was firm with a choice of pillows. Full set of terrestrial channels on the TV as well tea/coffee/biscuits. 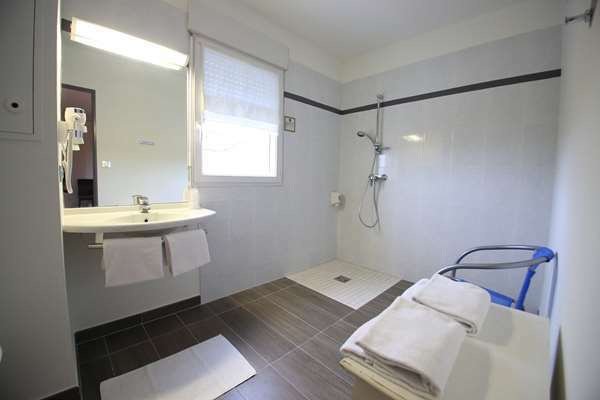 Bathroom was in good condition with powerful and warm shower. Breakfast is optional - we decided on it in the morning. Very good buffet for around £10. As we had a problem with our air con in the room we only paid for one of us. Aside from air con issue, which staff were apologetic on and noted to be sorted, this is a good one night stopover. Thank you for your comment, we are delighted that you enjoyed our bedding and breakfast. The hotel is located in an industrial area close to an exit from the A20, but there is no noticeable noise from the motorway. Check in was friendly. There is ample parking. There is mention of parking being secure. This is only in that the gate is closed overnight. Foot acces is fairly easy if anyone wanted to break into the cars. The room on ground floor had a very comfortable large bed, but it took up most of the available space. So everything was very cramped. Probably better room for single person. As a pair would not want to spend more than 1 night in it.